‘We have a responsibility to continue to power organizations who want to bring transparency like Politwoops,’ said Jack Dorsey, CEO of Twitter, at the company’s second annual Flight developer conference in San Fransisco. Dorsey said that Twitter needed to get better about being transparent. ‘We want to come to you today, and first and foremost apologize for the confusion’, Twitter’s CEO said. In August 2015, Twitter blocked Politwoops, run by Open State Foundation, in more than 30 countries that enabled the public to see what legislators and other elected officials, once had tweeted but then decided to delete. In August 2015, Twitter blocked Politwoops in more than 30 countries that enabled the public to see what legislators and other elected officials, once had tweeted but then decided to delete. Open State Foundation started Politwoops in 2010 in the Netherlands and then helped expand Politwoops to more than 30 countries and parliaments, included the United States, the European Parliament and countries like Egypt, Argentina, Turkey and Greece. 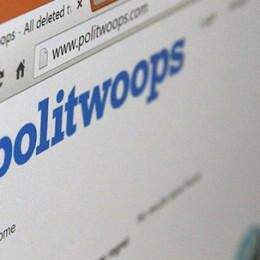 In September, 50 rights and transparency groups across five continents, including Access Now, Sunlight Foundation, Human Rights Watch, and the Electronic Frontier Foundation joined in opposition to Twitter’s crackdown on Politwoops and called on the social network to restore Politwoops’ API access.